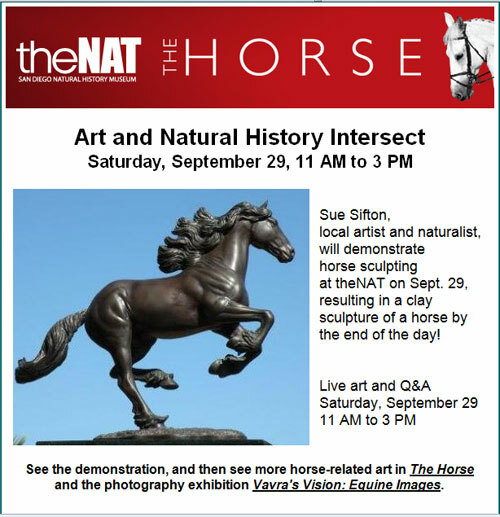 I am often asked how I became interested in horses and art? 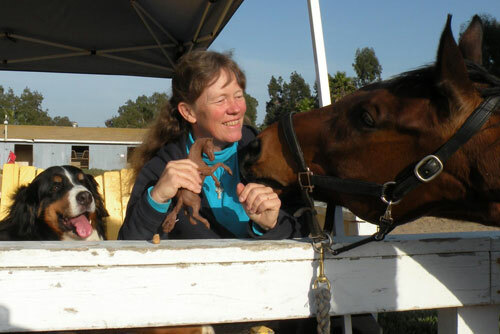 Why ride, draw, paint and sculpt horses, and study from nature? The honest answer is that it is simply what I am called to do, to observe, record and tell stories in clay and color. As a horseman, I am a lifelong student of anatomy, of movement, of different equestrian disciplines, and strive to capture the spirit of the horses we are privileged to share our lives with. I am awed by the light and color of the lands not made by man, and the living things that inhabit its landscape. I am blessed with family and friends who did not laugh at the idea of being an artist, but were encouraging. Whether as a horseman or an artist, learning is a group activity. A good horseman's eye, a kind correction, or down right ribbing and laughing at our mistakes, is invaluable. I am blessed with the gift of getting to share this passion with others. I was born in Camp Lejeune, North Carolina. I grew up in Northern CA., attending High School and the first two years of college in Chico, where I was influenced by the drawings from nature by Janet Turner. I was a member of 4-H and Pony Club. My wonderful sister-in-law, Emily Carlton, ran River Oaks School of Riding in Potomac Md. where I worked in the summers. I later moved to San Diego (taking my horse with me, of course) for my last years of college, to take advantage of the San Diego Zoo and the Natural History Museum to study animals. San Diego State University had a wonderful people sculpting professor, Jesse Dominguez, and an equally wonderful wildlife biology department next door to the art department. A mold making apprenticeship with Chris Pardell, opened the door to working in the gift ware industry. Kitty Cantrell opened the door to the model horse world when she took me along to go to a Black Horse Ranch event at Karen Grimm's barn, that lead to a call and an interview with Breyer Model Horses, that lead to many sculptures and trips to Breyerfest with my daughter or whole crew as a family adventure. Illustrations of the cross country fences for the 1984 Olympics, (besides meeting my future husband, Ray, there), brought requests for more sketches, which lead to bronze commissions in dressage, which lead to bronze commissions of good race horses... Horsemen opened the door to casting in other media. The friendships one makes in horse, in this passion we share, whether riding or making art, can and often do last a life time. A love for horses lead to striving to be a better horseman for my horse, which lead to paying attention to anatomy, way of going and the spirit of the horse, which helped in riding and equestrian art, which lead to a bachelors in art and an apprenticeship. Horsemen encouraged this passion into a career that family and friends believed in.